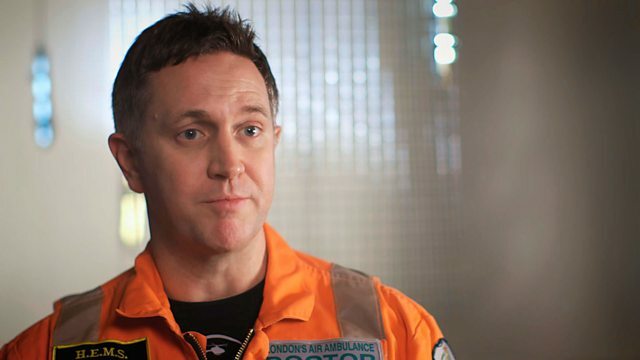 Series exploring the decisions doctors face in the first hour of emergency care. A young cyclist goes into cardiac arrest after an accident. Medical science series exploring the life-or-death decisions facing doctors in the first critical hour of emergency care. With extraordinary access to specialist clinicians treating major trauma and life-threatening complications during birth, this three-part series gives a unique insight into the dilemmas and innovations of emergency care. In this episode, young cyclist Janina is in cardiac arrest after an accident, doctors fight to stop Tony from bleeding to death and 11-year-old Blake is left with a serious head injury after being hit by a car.